One of the largest Perl teams across Europe. We have comprehensive expertise in coding OO Perl and have done it for many years – in Cluj-Napoca and in Australia. Of our strong team of developers in Cluj-Napoca Romania, over 50 are full-time Perl coders that have in-depth experience in developing Perl. As a Perl development company we stand apart not just through our expertise, but also through the dedication and passion that our Perl developers bring to the table. They really get beneath its potential and love delivering on a challenge. This deep Perl knowledge comes as much from experience as from passion. Moreover, we’ve been nurturing & growing the local Perl community & sharing our love for Perl by constantly delivering Perl trainings & organizing internships for students in tech fields. Simply put, we build exceptional software. Whether we’re talking about corporate backends, big data, ecommerce websites, multichannel solutions or startups, we’ll do it. We already have over 10+ years of expertise building outstanding Perl products and supporting large organizations with our solutions, so you can rest assured that you’re in the best hands. We’ll not only devise software architecture and build it, but we’ll also season it with professional Business Analysis, do UX and UI audits, deal with everything related to design, finish up with outstanding Quality Assurance and deploy your solution in the most elegant way possible. Core strengths in writing custom Perl applications using a wide range of frameworks. We combine these with MySQL or PostgreSQL in order to architect high availability and scalable models with the best practices one would expect. Our dedicated teams build applications from scratch, add new functionalities to an already built application or rewrite an existing one. This way, we make sure our customers are always satisfied with our work, building thus a trustworthy and respect based business relationship. As a web development company we’ve been programming in Perl for long enough to know the ins and outs of any type of project. Our skills are not only technical, but also project and customer related. First and foremost we’ll assign a Business Analyst that will work together with you on the core business requirements. Second, we’ll wireframe our vision of the product, explain it in detail and showcase the highlevel guidelines. We’ll also throw in some mockup designs to help you better understand the end-product. After we’ve reached an agreement, we’ll get right down to devising the specifications for your product, set up stages and plan the product development. In the meantime we’ll also tap into our extensive UX and UI onsite sources and come up with the best user experience & interface design. Within the planned release schedule we’ll constantly be in touch with you, discussing progress and adjusting where necessary – all while our amazing QA guys will make sure that your software is bug-free. We absolutely love Perl & the Perl Community, and we support a lot of the events and initiatives within the community, by sponsoring and attending YAPC Europe, London Perl Workshop, German Perl Workshop, QA Hackathons and having indepth insights into CPAN and contributing to it. 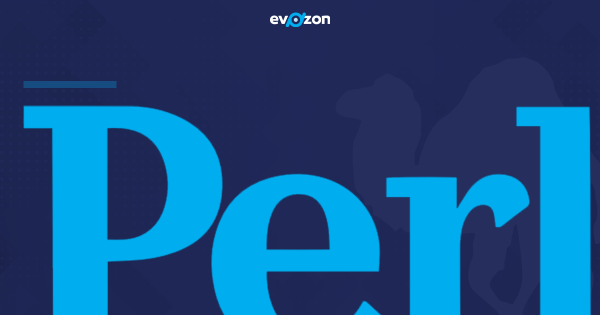 Evozon is also actively involved in the development of the Perl Community here in Cluj, an amazing community awarded with none other than a White Camel Award. We were the organizers of the first Cluj Perl Mongers technical meetings & constantly invest in delivering trainings to tech students, aiming at growing the Perl talent pool.